ROM Manager Android is an application that allows you to handle a variety of ROM devices in android. So ROM Manager Android is an application that is very important to manage android ROM. You can flash ROM, Install ROM from SD card, Install ROM via OTA etc. 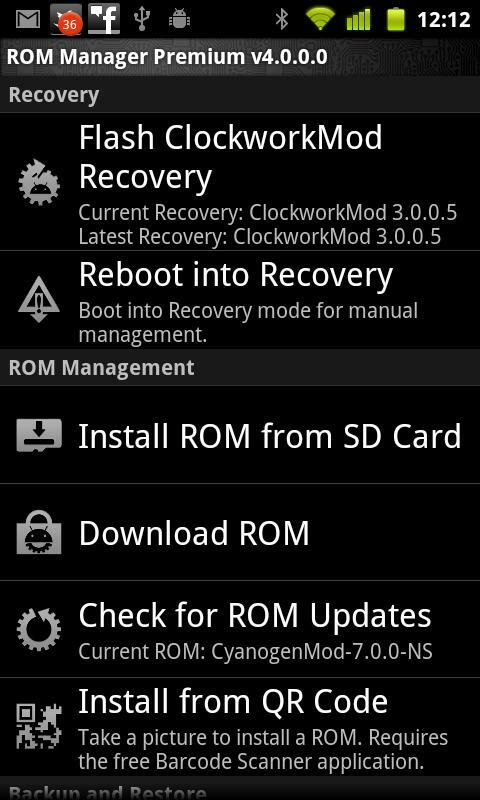 - Flash your recovery to the latest and greatest ClockworkMod recovery. - Manage your ROM via a handy UI. - Organize and perform backups and restores from within Android. - Install ROM from your SD card. - Install your favorite ROM over the air. Why does ROM Manager ask for account permissions? Web Connect only needs to access your Google account to connect it. It can't access any private data or passwords. 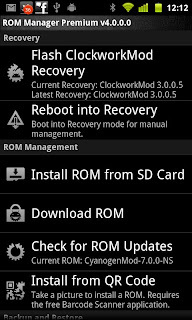 # Fix bug where 10% of installs/backups/restores from ROM Manager would error out. Recently, however, my brother in law was talking to me about developing some Android Mobile Apps for the blackberry, iphone and android, so I began doing some research into this. Every time I want to play online, I get a "Connection lost" message. Other than that, the game is pretty awesome. Rom Manager really good thing in your Site. Great post man keep it up.